With tax rates lowered, the standard deduction doubled, and the child tax credit also doubled, the vast majority of Pennsylvanians will see a significant tax cut. Since before the founding of the republic, every generation of Americans has left to their children a greater, wealthier, and better nation than the country they inherited, with more opportunities and an even higher standard of living. Today, sadly, many parents are no longer confident that their children's lives will be better than their own. And while there are reasons for optimism about our economic future, many Americans understandably feel opportunity and success are just beyond their reach. For nearly a decade, wages have been stagnant and income inequality has grown. Although the recession ended in 2010, the economy has struggled, never rebounding as was the historic norm. Our country's gross domestic product has averaged a meager 2 percent growth rate, far below the 3.45 percent average annual rate since 1965. Among the causes of these economic maladies are: a collapse in new business creation; a collapse in capital investment; and a collapse in productivity gains - all of which are predicates for an expanding economy and rising wages. Despite enacting every major domestic policy priority the Obama administration wanted - a massive stimulus program, higher taxes, loose monetary policy, overregulation of industry, and a government takeover of the health-care system - the economy barely registered a pulse. In the years after the recession, annual GDP growth never once came even close to the 3.9 percent growth rate the Obama administration confidently predicted would result from enacting their agenda. While we cannot undo the damage done to the economy by the Obama administration in one fell swoop, we can take a major step in the right direction by fixing our disastrous tax code. It's unfair, far too complicated, and on the business side, completely uncompetitive in a global economy. The last time Congress overhauled the tax code, 1986, our corporate rate was 35 percent, three points lower than the average among industrialized, democratic nations. Today, the average corporate tax rate in the developed world is 22.3 percent, and ours is still 35 percent. We now have the highest statutory corporate tax rate among our peers, putting American businesses and workers at a big competitive disadvantage. We must catch up and surpass the rest of the world as the premier place for investment. That's why tax reform is such an opportunity and necessity. Now, after months of work, congressional Republicans and the White House are on the verge of a major overhaul of the tax code. 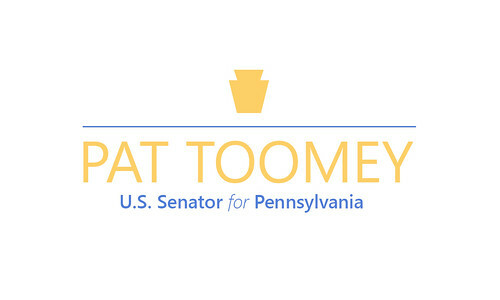 The proposal my Senate Finance Committee colleagues and I recently approved will help hardworking Pennsylvanians in two key ways. First, the vast majority of families will owe less to Uncle Sam as their federal tax bill will be lower than it is today. Second, we will take what is arguably the worst business tax code in the industrialized world and make it one of the best. The result will be a surge of investment, business expansion, and new startups, spurring job creation and putting upward pressure on wages so working families can enjoy a higher standard of living. With tax rates lowered, the standard deduction doubled, and the child tax credit also doubled, the vast majority of Pennsylvanians will see a significant tax cut. A typical Pennsylvania family with two children and a median income of $73,500 will see a pay raise of $1,740 through direct tax relief. An estimated 95 percent of taxpayers will also be spared the aggravating and cumbersome process of itemizing deductions on their annual returns. On the business side, the tax reform plan upends many existing disincentives to economic growth. It significantly reduces the globally uncompetitive U.S. corporate tax rate, which is a major reason why companies set up factories and offices overseas rather than in the United States. The bill makes a commensurate rate reduction for small- and medium-sized businesses that are taxed on the individual side of the code. Lower rates on businesses will help us attract investment in a global economy where capital and brainpower are almost completely mobile. The second major feature will encourage tremendous business expansion. During the weak recovery of the Obama years, growth in invested capital - such as the purchase of new equipment, machines, and vehicles - collapsed. With fewer dollars invested in new and better tools for workers, gains in productivity were nonexistent. Our bill permits companies to "write off" the full cost of new equipment purchases when the purchase is made, lowering the after-tax cost of that equipment and enabling business to invest in more factories, machines, and vehicles that propel productivity growth. Workers who use this equipment become more productive. More productive workers see bigger paychecks. These business tax reforms will increase demand for workers. As expansion occurs and more private sector companies are launched, companies will have to pay more money to attract workers. This upward pressure on wages means a higher standard of living for more Americans. In many ways, there is no better place to invest and do business than the United States. We not only have the world's largest economy, but incomparable competitive advantages: a skilled workforce, plentiful natural resources, modern technology, a dependable legal system that protects property rights, and a superb system of higher education, just to name a few. For those reasons, America should have been the premier destination after the recession for capital investment, new business formation, and subsequent productivity gains. We can recapture that leading position in short order, but the policies coming out of Washington, D.C., must change. 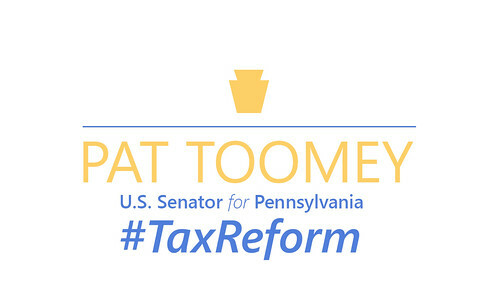 We can start by passing this pro-growth tax reform legislation that will deliver a strong recovery, greater opportunity, and a higher standard of living for all Pennsylvanians. Then, the promise of a better life for our children can be assured.